During my visit to the 2017 E3 Expo, I stopped at THQ Nordic’s meeting room for a look at ELEX, their upcoming open-world RPG. Set in a post-apocalyptic world where fantasy meets science fiction, ELEX puts players into the role of a wanderer who will have great impact on the game world. One of the first things I noticed about the demo was that the game looked beautiful. It reminded me a lot of those single player RPGs like in the Gothic series. This might have been because ELEX is being developed by Piranha Bytes, the same developer! These guys have been making single player RPGs for a long time and know how to do it. The planet Magalan has been ravaged by an extinction level meteor strike and four factions have risen out of the chaos. Each of these factions has a very specific aesthetic and preferred weapon set. For instance, there is the Outlaw faction which looks like they came straight from a Mad Max film and uses tinkered weapons. In contrast there is the Berserkers, a group of people who use magic to fight. Whether it is your jump jet pack or the Berserkers’ magic, it is all powered by a substance called ELEX, which came bubbling up after the impact event. There will be magic, ranged, and melee combat and it all seemed rather smooth in what I saw of the game. 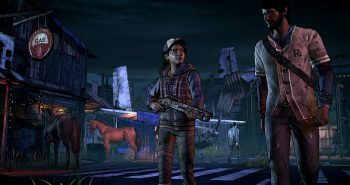 Choosing which faction to join is supposedly a VERY important part of the story, and will have severe repercussions for the game world. 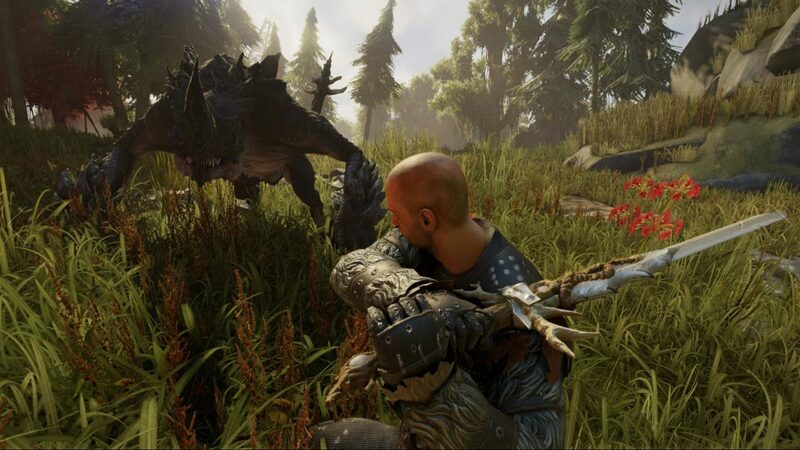 ELEX will allow a huge number of hours of gameplay and there are a multitude of quests to undertake, equipment to collect and craft, and places to explore. What I am most interested in finding out is how many hours of play the game provides the average player in their testing. While they didn’t give exact numbers, it sounds like it could rival the Gothic series in scope and breadth of quests. Unfortunately, we didn’t get to see too much of the game in the twenty minute demo, but we saw enough to know that it will be one that we purchase when it comes out. 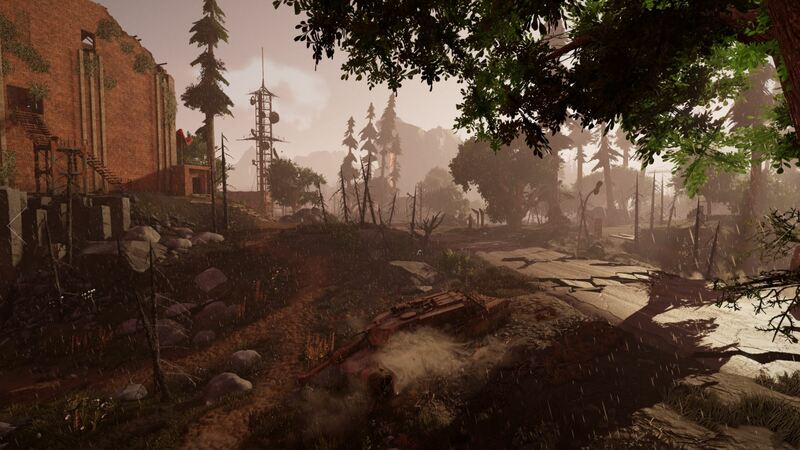 ELEX is set for release this Fall for the PlayStation 4, Windows PC, and Xbox One platforms.